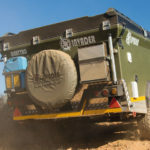 Our 5th most popular caravan manufacturer of SA needs no introduction: Willie Grobler from Echo 4×4. 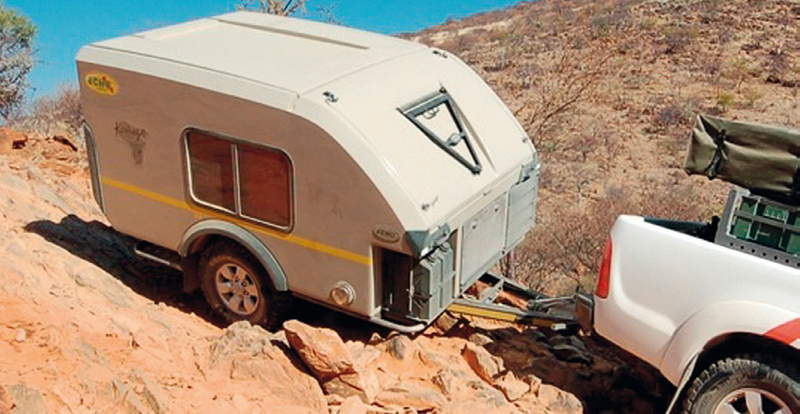 Willie was an aeronautical engineer prior to being one of SA’s biggest off-road caravan manufacturers. Pre-1990, Willie serviced and maintained sophisticated aircraft and worked within SA’s nuclear departments. Anyone who knows Willie, knows that he doesn’t do things in half measures. I once heard a story that he’d taken a brand-new Echo 2 trailer to Namibia just to see if he could wreck it! His philosophy is that if he can’t break it, then neither can the customers! Some would argue that the key to the strength in his craftsmanship is his big press tooling, which allows you to use lighter materials that are bonded together to make them more durable. 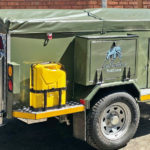 This is the key ingredient of an almost indestructible off-road caravan and trailer. I guess that’s the stuff aeronautical engineers are made of! Willie launched his Echo 1 in 1997. The Echo 1 trailers you’ll find on his showroom floor today are still almost identical to that very first model. Willie claims his roof-top tents were the first to be based on the Faraday Cage principle which makes Echo roof-top tents lightning-proof! Of course, the only way to test it would be to know where lightning was going to strike next, and we all know that lightning doesn’t strike in the same place twice. As for the Caravan of the Year competition, congratulations to Willie and his wife Rochelle Grobler, whose Kavango Off-Road caravan came in at 8th place. 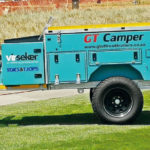 Willie has even more to celebrate, for in the closing months of 2017, two of South Africa’s oldest and biggest dealers – Tygerberg Caravans in the Cape and Natal Caravans and Marine in KZN − decided to sell and service Echo products. These new dealers expand the Echo 4×4 dealership and fitment centres to 18 across 9 provinces, and export to Namibia, Australia, United Kingdom, Canada and the USA. The future for Echo 4×4 looks bright as we head into 2018. While his current product range consists of 7 caravans, 11 trailers and two motorhomes, there are soon to be a further 7 new units in 2018.